"Dr. Barry” received his Bachelor of Science in Biology from Adelphi University. He received his Doctor of Dental Medicine degree from the University of Louisville School of Dentistry in 1981. As a resident at Long Island Jewish Hospital, he gained extensive experience in the treatment of the medically compromised patient. He received training in dental anesthesia at Maimonides Hospital. Dr. Barry then completed the pediatric dentistry program affiliated with the Albert Einstein College of Medicine, including advanced training in the treatment of the developmentally disabled. 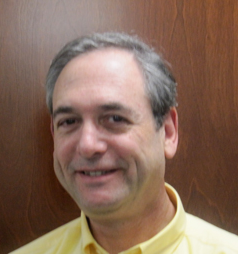 He is a past Director of Pediatric Dentistry at the Albert Einstein College of Medicine. Like the rest of our team, Dr. Barry participates extensively in continuing education, with an emphasis on implant and cosmetic dentistry and has recently completed training in the treatment of sleep apnea. Dr. Barry lives in Merrick with his wife, Geri, and their three children. Dr. Matthew Siegel was raised in Marlboro, New Jersey and attended the University of Maryland at College Park, receiving a Bachelor of Science in Biological Science with an emphasis in Microbiology in 2008. He studied stroke at the University of Connecticut Health Center for one year and co-authored several publications. Dr. Siegel received his Doctor of Dental Surgery degree in 2013 from the New York University College of Dentistry and was awarded the Dr. Bernard E. Rudner Memorial Award for Demonstrating Superior Performance in Providing Oral Comprehensive Care and Administering a Dental Practice. He continued his dental education by completing a General Practice Residency program at the Lutheran Medical Center in Brooklyn, New York in 2014, where he was presented the Resident of the Year Award. Dr. Matt spent a semester abroad in Rome, Italy and loves sports, especially hockey and football. Dr. Siegel lives in Manhattan with his wife, Alexa, son, and their dog, Havi. 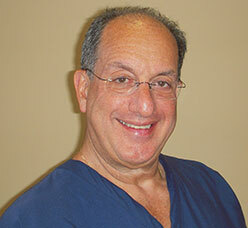 Dr. Sotomayor is a Long Island native and a board certified specialist in Orthodontics and Dentofacial Orthopedics. She graduated first in her class from Columbia University College of Dental Medicine, earning her Doctor of Dental Surgery degree in 2009. During dental school, Dr. Sotomayor was honored with the Columbia University Dean’s Scholarship, American Dental Association Dental Student Scholarship and New York State Dental Foundation Dean’s Award for academic accomplishment and committed service to underserved populations. Upon graduation, she was inducted into Omicron Kappa Upsilon and received the Alpha Omega Award for Highest Academic Achievement, Delta Dental Student Leadership Award, American Association of Orthodontists Award, American Association of Oral Biologists Award, American Academy of Craniofacial Pain Award and Divisional Excellence Award in Oral Radiology. Dr. Sotomayor continued her education in the Division of Orthodontics at Columbia University College of Dental Medicine, where she served as class president for the duration of her three-year residency and earned a Master's degree and Certificate in Orthodontics in 2012. 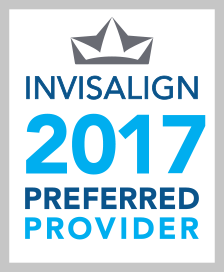 Dr. Sotomayor is a Diplomate of the American Board of Orthodontics, having successfully completed rigorous written and clinical examinations to achieve board certification. She regularly attends meetings and courses for continuing education and is currently preparing to publish her Master’s thesis research on mandibular jaw growth. Dr. Brian Webber is originally from Long Island and earned his Doctor of Dental Surgery degree from the College of Dental Medicine at Columbia University. Next, he completed an internship at Columbia Presbyterian Hospital. Following the internship he stayed at Columbia to earn his Certificate of Specialization in Endodontics. While at Columbia University he also received an OKU excellence award in Endodontics and an Alpha Omega award for the highest scholarship in his graduating class. Dr. Webber has been practicing dentistry for more than 30 years and he devotes much of his attention to "pain-free" dental therapy. Dr. Webber has authored many articles in dental journals with reference to numbing the teeth with local anesthesia. Indeed, patients have referred to Dr. Webber as the "painless" root canal specialist. Dr. Webber enjoys being involved in the community and serves as a judge for the Long Island High School science fair. 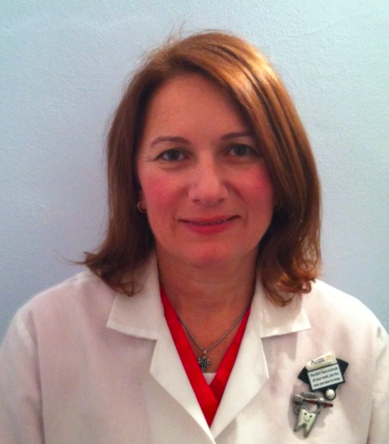 Dr. Effie is a Queens native, and she has been practicing in the Rego Park, New York area for over 20 years. “I love what I do,” says Dr. Effie. “I have great patients and it’s very rewarding to change someone’s smile for the better.” She is well known for her gentle, light touch during each and every treatment. “Dr. Effie” received her Bachelor of Science in Biology from New York University. She continued studying at NYU and received her Doctor of Dental Surgery degree in 1990. Following dental school, Dr. Effie continued her education at Flushing Meadow Hospital where she completed a General Practice Residency. Dr. Effie participates extensively in continuing education by attending monthly CE classes to stay abreast of the latest advances in the dental field. Dr. Effie’s goal as your dentist is to provide the best of care in a comfortable and calm setting. In addition to her private practice, Dr. Effie works at Flushing Hospital. Dr. Effie is a member of the Junior Women’s Club of Bellerose Village as well as a lifetime member of the Benevolent Society of Eleftheriani, a Greek society. 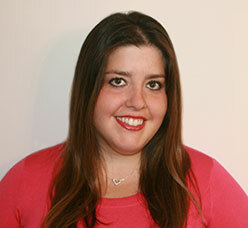 Some fun facts about Dr. Effie are that she enjoys yoga, is part of a book club, and she speaks Greek!